Diocese of Rochester | Year 3 children in Bromley celebrate ‘Life’s Journey’. Year 3 children in Bromley celebrate ‘Life’s Journey’. The 15th September saw nearly 500 children from The Aquinas Church of England Education Trust and other schools gather at St. George’s Church, Bickley, to celebrate their move from Key Stage 1 to Key Stage 2. Taking the theme of ‘Life’s Journey,’ Father Richard Norman led this joyful worship, as everyone gave thanks to God for how far the children had come on their respective life journeys and to appreciate all their wonderful memories. Children from each school presented beautifully decorated giant postcards, describing their journeys. Memories were shared and prayers of thanks were given. It was truly wonderful to see so many children and staff worshipping together. The readings, prayers and singing were led by the children, every school making a contribution. Geraldine Shackleton, Head Teacher at St. George’s, Bickley said: “I was delighted to see so many enthusiastic faces gathered in our beautiful parish church. It is amazing to see what many hearts and minds can do when working together and we clearly have a very exciting future ahead with these young people at our midst”. The worship concluded with prayers for the future as the children start their next key stage and then the Lord’s Prayer, sung with sign language by children from St. John’s Primary in Penge. 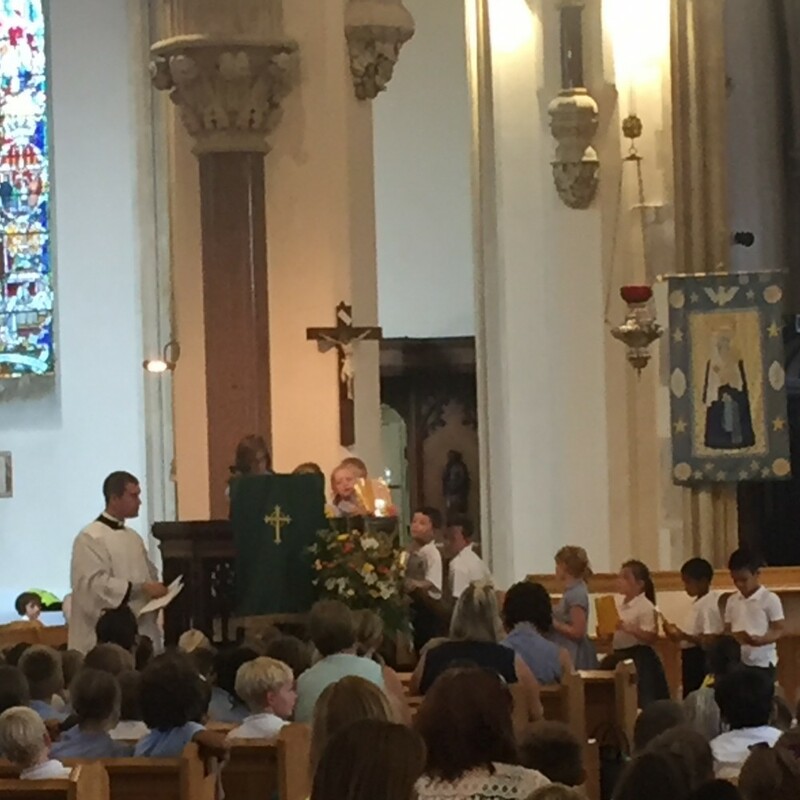 The year 3 children left the church in the very warm September sunshine, having celebrated their school experiences so far and giving thanks to God, whilst looking forward to the next stage in their journeys.